The first things a tenant pays attention to when looking for the perfect apartment are cost, location, and availability. These are essential (hands down! ), but what about the rental’s appearance? Do the interior and exterior matter? And more importantly, can a landlord increase rental income by decorating and modernizing their rentals? You might assume this would require a ton of money, renovating an apartment to make it look fabulous and expensive, but this is a myth. All you need is a strategy, basic concept, and some imagination, and soon enough your rental will attract tenants like bees to honey. The majority of renters are visual-based. To attract more renters and, therefore, get more income, a landlord should take into consideration the latest trends in interior design and disregard any individual sense of style. The goal is a rental property that is suitable for everyone. In fact, focusing on tenants’ basic needs is what you should really keep in mind. So before starting to renovate or making any changes, analyze what makes an ideal apartment and what items should be added to make it look perfect. 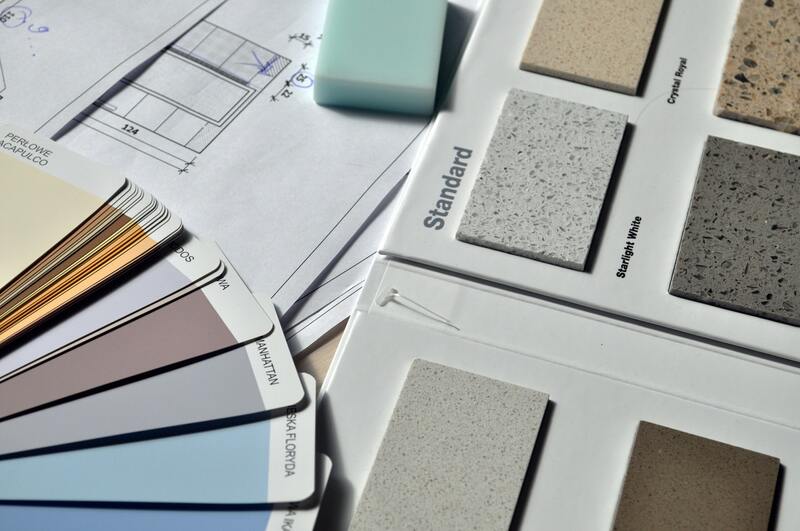 Identify your target audience and create a thorough strategy for low-cost and sustainable renovations in accordance with renters’ requirements. In the long run this will save you time and prevent any rash design decisions. While selecting decorations or brand new furniture, keep in mind that at the end of the day we all want to relax and enjoy the atmosphere of a comfortable home. Make sure your tenants are happy to come home after a tough day and unwind while sitting next to the fireplace with a cup of hot cocoa. Opt for cozy textiles, pleasant pastel colors, and good lighting to create this sort of atmosphere, especially as Christmas time approaches. Details are important, but don’t focus on them too much. Stick to Scandinavian interior design with its minimalist nuances, calm color schemes, and livable spaces. Trends come and go, but the great ones are usually simple. The average renter is likely to be scared by an animal print carpet or mirror ceiling. Don’t try to create a piece of contemporary art out of your rental. Make it less complicated and as comfortable as possible. Do you have a small budget? No worries! We have affordable tips to help you stay within your limits. First of all, visit local flea markets to get something unique and relatively inexpensive. Try to adhere to smart consumption principles and don’t purchase unsustainable things or useless decorative objects. Keep in mind the concept of your future renovated apartment and write down a list of items you need. Secondly, build your own furniture or create home decor without using expensive supplies. But remember that DIY furniture projects can only save you money if you choose items worth the effort. Take advantage of internet resources such as Pinterest for inspiration and creative ideas. Just remember that in the end, your tenants will bring their own furniture and decorative items to the rental. Giving them that sense of hominess from the beginning will encourage them to rent the apartment long-term, as well as endorsing a calm and relaxing atmosphere. Have you succeeded in increasing your rental income through renovation and decoration? Leave a comment below. We’d love to hear your thoughts on this topic!